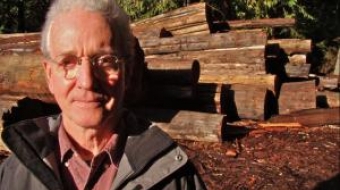 A mill owner's view on creating a climate for better forest management in B.C. Switzerland's logging industry provides up to 11 jobs per thousand cubic meters of timber. That's 10 times the number of jobs created by logging in B.C., a Cortes Island mill owner says. Forest conservation experts say documenting old growth trees in BC island forests could help secure provincial support, in order to buy endangered land from logging company Island Timberlands.